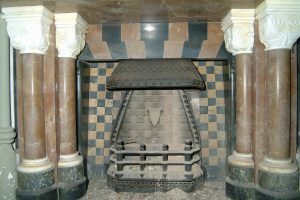 Perhaps in Ireland more than elsewhere, the hearth is the traditional centre of the house and even in more modern homes the fireplace is one of the most important architectural features. The fashion in the 1960s and ’70s to renovate and modernise, saw chimneys blocked and high quality marble, slate, cast iron and wood fire surrounds discarded. The present owners of many of these house now want to have a real fire and the greatest threat today is the theft and illegal sale of fireplaces to meet a growing demand. The legitimate salvage trade has however ensured the survival of many of these discarded gems. They are experts at restoring and rebuilding original fireplace surrounds and firebacks, often piecing together broken fragments. They are expensive and will look incongruous in a modern house, but chosen carefully to take account of the age and style of the house and installed correctly, it will add to the value of the property. A good joiner or mason will be able to make a fire surround to fit your requirements exactly and several manufacturers are now producing ‘off the peg’ ones which may be suitable. The legitimate salvage trade should reveal the source of the fireplace allowing the buyer a clear conscience. Hearths were often slate or stone, again this can be obtained today, often with a metal fender. A dog grate in a firebrick lined recess suits larger rooms, and for smaller rooms, a small fire basket set into a cast iron surround is generally the most appropriate. 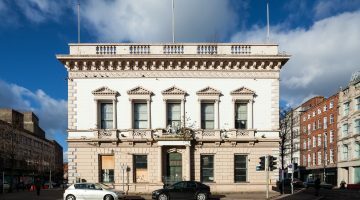 Few buildings in Ulster have working external clocks. 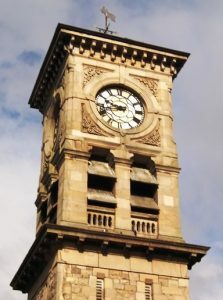 However, clocks, chimes and bells add a public dimension to a building and where already in place, they should be restored and maintained in working order. Incorporating clocks in new buildings should also be encouraged. Modern technology has replaced labour intensive wind-up pendulums and manually struck bells. There are firms who specialise in the repair and replacement of traditional clocks and for new projects, can offer electronically created chimes and peals. Interior fittings – the cabinetmakers’ skill – are generally outwith the scope of this Directory but occasionally their special skills are used for high quality doors, panelling and fitted furniture in high quality timbers such as walnut, rosewood or maple. Textile restorers may also be needed to care for fabric panels, curtains and carpets. This is a specialist skill and should not be left to general cleaners.